This week’s developments might cheer those who want to see the UK leave the EU. But they are a rude awakening for those who argued that leaving the EU had no costs and a sad reminder that leaving the bloc will be an act of self-harm, writes Petros Fassoulas. Petros Fassoulas is the secretary-general of the European Movement International. Reality has a way of catching up with you. Ruthless and unavoidable, the inevitable cannot be escaped. This realisation must be dawning upon Theresa May, David Davis (and the motley crew of the UK’s Brexiteers) like a cold winter’s morning. It was all supposed to be so easy, they crowed. By mid-2018 the UK would have negotiated trade deals with the world, they exclaimed. The notion that the UK would have to pay for its EU liabilities before leaving the club was laughed out of the room. The mere suggestion that there might be a hard border in Ireland was considered anathema. “They need us more than we need them” was the motto of choice. What a difference the passing of time makes. Ahead of this week’s EU Summit, and as the clock is ticking, the UK had to capitulate to all the above, just to secure a 21 month transition period and avoid falling off the cliff and to stop an exodus of jobs and capital once the Article 50 deadline on 31 March 2019 is reached. The UK has conceded that it will have to pay, probably well into the 2060s, it will have to abide by EU laws (but have no say in the making of those laws), it will have to respect freedom of movement and the jurisdiction of the European Court of Justice. The one reprieve offered, the right to negotiate trade deals during the transition period is nothing more than a Pyrrhic victory if one considers that very few (if any at all) trading partners of any substance will be prepared to negotiate a trade deal with the UK before they are certain of its future relationship with the EU. Furthermore, without guarantees that the UK will be part of the EU’s Single Market and Customs Union, the risk of investors and employers having to relocate their capital and factories to the EU has been simply postponed but by no means averted. If that was not enough, there is a real possibility that the UK’s departure from the UK might lead to a rapture of the United Kingdom. If no solution is found to the Irish border question, Monday’s agreement stipulates that Northern Ireland will remain part of the EU’s Customs Union, rendering it separate from the rest of the UK. If all the above is anything to go by, it becomes clear that the UK’s departure will take place on the EU’s terms and the costs will be born mostly by the British, whatever the scenario is. 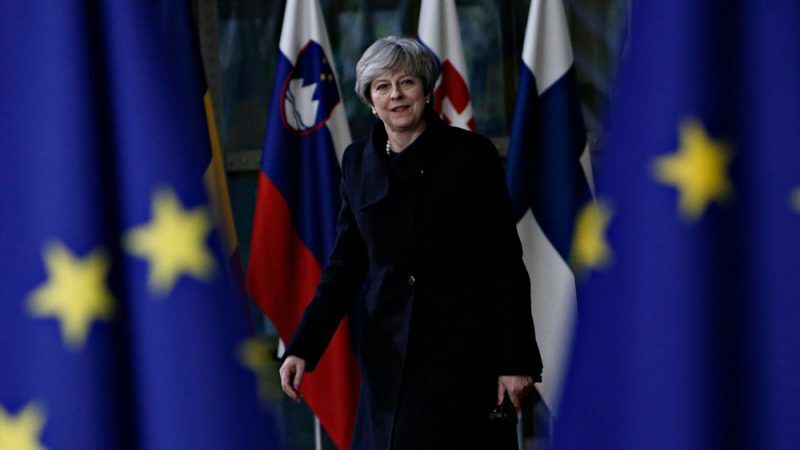 In fact, the European Movement International has looked at the different post-Brexit scenarios and it is clear that in all the areas which we looked, be it trade, Single Market access, freedom of movement, security and defence, and citizens’ rights, the impact of the divorce will be immensely negative for the UK. There are various degrees of harm done by a Hard or Soft Brexit but one thing is for sure, neither option can compare with the benefits of EU membership. With regards to trade, for example, the UK’s red lines for the divorce have limited the options for a future deal, and if the UK leaves the customs union and the single market it will need to negotiate a free trade agreement with the EU as a third country. Not only does this scenario call for border controls, FTAs take many years to negotiate, with an agreement unlikely to be reached by the end of the planned transition period in December 2020 and destined to pale by comparison with being a member of the EU’s Single Market. That said, the worst-case scenario would be for the UK not to have any kind of preferential trade agreement with the EU and for the relationship to be solely based on WTO terms. In this case, the UK would have no participation whatsoever in EU policies or processes. Moreover, it would have to negotiate 750 agreements from scratch. The same applies to free movement. EU citizens moving to Britain tend to be young and educated, they bring new skills to the country, make a positive contribution to public finances and have increased the UK’s GDP growth and created more jobs. Freedom of movement may continue for all EU citizens during the two-year transition period. But this would not secure any further rights beyond 2020, making the prospect of moving to the UK to work unappealing for many EU citizens. Leaving the EU and stopping the free movement of people, hindering the UK’s ability to access young, talented and entrepreneurial Europeans, is an own goal that will only have negative effects for the British economy. EU membership also guarantees a vast number of rights to workers, consumers, and citizens. It remains unclear whether the UK will be able (or indeed willing) to establish the highest labour, environmental, and consumer protection standards to match those EU standards currently enjoyed by UK citizens. They might all be sacrificed on the altar of signing trade deals with other countries who are not as committed to labour, environmental, and consumer safeguards as the EU is. Finally, we looked at security and defence cooperation. Access to the European Arrest Warrant and of EU security information databases and membership of agencies like Europol are vital to the security of UK citizens. On top of that, being in the European Union has provided the country with over €8 billion in EU research funding since 2007. Leaving the EU would have significant consequences for the country’s defence R&D and innovation and would require the UK to renegotiate the terms of its access and membership to EU agencies. This week’s developments might cheer those who want to see the UK leave the EU at any cost. But they are a rude awakening for those who argued that leaving the EU had no costs and a sad reminder to the rest of us that leaving the EU will be an act of immense self-harm. It could be years until they’re ready to talk about it, but the UK just needs to join the United States. They would be the most influential part of it, and all trade between the US and EU would be redirected through them.